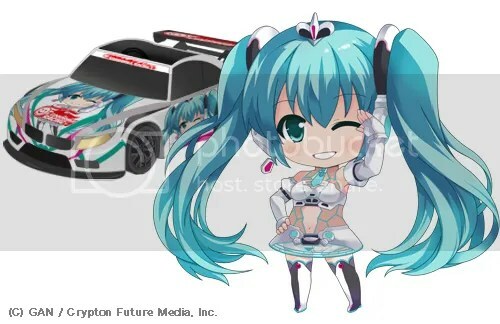 Nendoroid Racing Miku 2012 Sponsor Packages Reservations + Info | Wcloudx (kumo)'s Blog - Ramblings about Figures, Gunpla, & More!! « Max’s Figma Leon Reservation Starts!! As with previous releases, the sponsor packages will come with a number of different sets; 7,000 Yen, 10,000 Yen, 30,000 Yen, and 50,000 Yen. Reservations already opened and will run through May 7th, 2012. The package itself is scheduled for October 2012 release. You can start placing your order over at NicoShop. For International Order, you can head to GSR Online Shop. This entry was posted on March 21, 2012 at 6:09 pm and is filed under Figures, Good Smile Company, news, Reservations. You can follow any responses to this entry through the RSS 2.0 feed. You can leave a response, or trackback from your own site.